Gathering online brand intelligence is not a new concept, but it is something that many fraud organizations are just starting to look at due to the requirements set forth by the recent FFIEC guidance. There are a number of companies focused on helping others with patch management and checking for software exploitations, but few monitor for fraud threats related to bypassing controls, policies, or review processes. Cybercriminals know this, and are often able to take advantage of vulnerabilities in these areas with comparatively few obstacles thrown in their way. Once we started scouring the Internet to search for and remove these exploits, we serendipitously found a large number of social media discussions related to stolen debit cards, credentials for sale, targeted DDoS attacks in their planning stages and brand abuse cases on Twitter and other platforms. Many of our legitimate customers were also followers of fake accounts impersonating our brand, and could have easily been tricked into clicking the shortened URL links they contained to unknowingly access malware drop sites or phishing pages. Proactively identifying these fake accounts, getting them removed from the Internet, and protecting my customers from falling for these scams had a positive affect on my account takeover numbers and helped resolve many customer complaints about fake e-mail and media campaigns. And to think, the social media intelligence was lying in plain sight, just waiting for the right tools to decipher it. 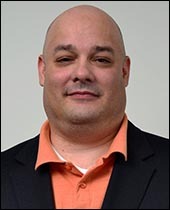 Bryan Jardine is an experienced technology professional with eight years of experience in building, deploying and managing anti-fraud organizations. Today, Bryan serves as product manager at Easy Solutions, where he plays a key role in the creation of the most innovative and comprehensive fraud prevention and detection solutions available in the market. Prior to Easy Solutions, Bryan held a number of management roles at E*trade, a leader financial services organization, where he was responsible for the design and implementation of anti-fraud strategic programs, including controls and policies that reduced fraud related losses by 65 percent annually. Bryan is a U.S. Marine veteran and he studied Information Technology at the University of Phoenix.